Thanks to the digital age, there are tons of marketing platforms and formats to choose from. 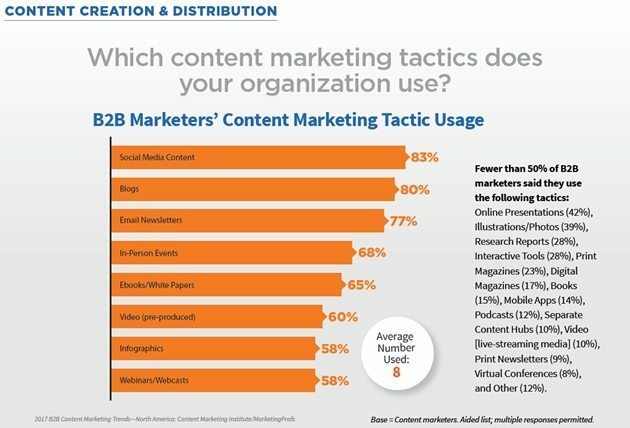 In fact, B2B marketers use, on average, eight content marketing tactics to engage with their audiences, and seven of the top eight are digital tactics. And, with so many digital options, it's easy to overlook the opportunities with face-to-face marketing. Still, 68% of marketers use in-person events as a content marketing tactic—fourth after social media, blogs, and email newsletters. It's time to draw attention back to a tactic that can really drive engagement and sales for your business—tradeshow marketing. Here are five ways to do it. Too many businesses wait until the day of the tradeshow to start generating buzz about the event. If you start early, you'll be able to nurture leads even before you meet them in person at the event. Here are some ideas to create pre-event buzz. Katie Price is the sales and marketing director at RAL Display, a leading UK supplier of portable display stands and tradeshow exhibition equipment.